This weekend marks the closing of Durgin-Park, a Boston restaurant featuring classic Yankee-style cooking that has been around for over 190 years. In explaining their decision to close, owners cited the rising cost of doing business and competition from newer, trendier restaurants. Durgin-Park is located in Faneuil Hall, a popular tourist location with shops, restaurants, and pubs. During Boston’s early history, this was a commercial seaport, market, and meeting place, and Durgin-Park served up many meals to those who toiled hard to make a living. Between Faneuil Hall’s period of commerce and its 1970s reincarnation as a tourist site, Durgin-Park continued on as a favorite local eatery. Durgin-Park, the Faneuil Hall restaurant that dates back to the early 19th century, is slated to close its doors Saturday. Known for its traditional New England fare, and at times surly wait staff, patrons have been coming out in droves to show support, share memories and enjoy a final meal at the Boston institution. 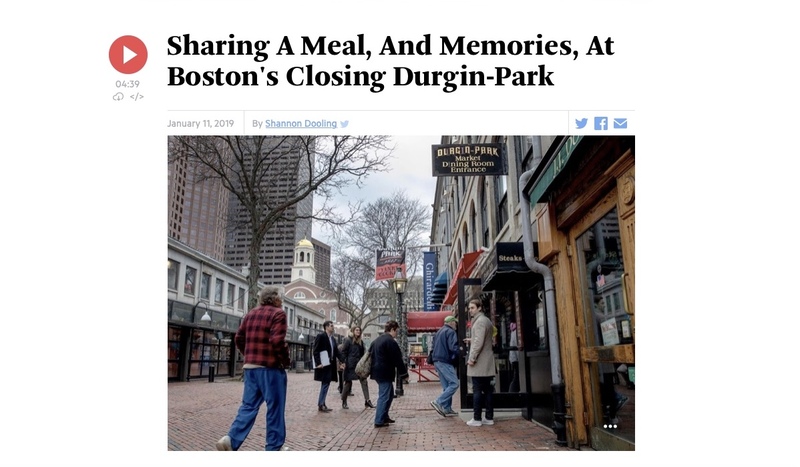 Durgin-Park is part of my Boston history as well. In the spring of 1994, when I traveled from New York to Boston to search for an apartment in anticipation of my move later that summer, my long-time friends Don and Sharon Driscoll drove out from their home (then in Connecticut) to add a bit of sightseeing to the trip. Sharon was familiar with Durgin-Park from a childhood visit to Boston, and so we made it my first bonafide New England restaurant meal as a soon-to-be Bostonian. Since then, I’ve taken many guests there, including friends and families visiting Boston on a vacation, as well as groups from academic conferences. The food was always hearty, plentiful, and delicious. Some of the news reports about Durgin-Park’s closing allude to the possibility of a buyer stepping in to save the restaurant. I have no idea if this is simply wishful thinking. I do know that great cities make room for the new without jettisoning the best of the old. Durgin-Park certainly qualifies as the latter. If it is to serve its last meal this weekend, then it will be missed for years to come. Yes, I would ask for a doggie bag. And if memory serves me right, all three of the Driscoll boys dined here during their visits to Boston! Very true. 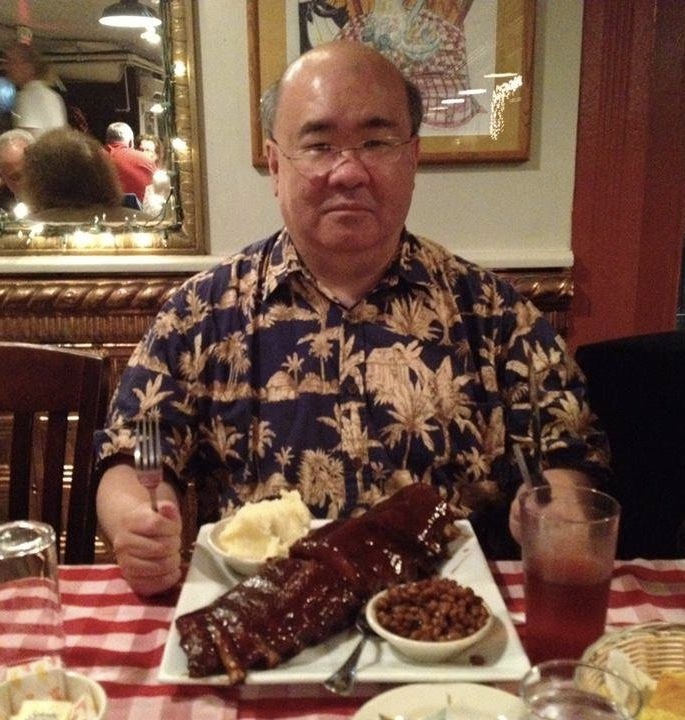 And, now, their children will not have the pleasure of eating in a restaurant their parents and grandparents ate at while exploring Boston with Daveyamada. The stories our boys would have told their children. “I remember when I visited Daveyamada on my first trip alone without Mom and Dad….. We had so many wonderful adventures ……. We had to eat at Durgin Park and get our picture taken at Benjamin Franklin’s parents’ grave ….” Traditions are important. They are a way of passing a love from generation to generation. This makes me think that my genealogy work is even more important. Leaving some personal window into the past for the next generations. I’ve never been there but it’s still sad. Sorry for your loss. Oh, I was there a million years ago! I hope someone saves it!